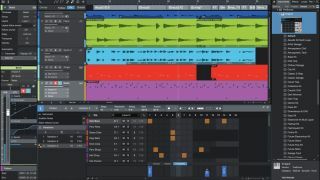 As we said in our review, Studio One 4 is a DAW that has the potential to genuinely change your musical life, so when we heard that it's currently available for half the regular price, we had to tell you about it. The discount applies to both the Professional and Artist versions, which are available for $200/£172 and $50/£42 respectively. It can also be used on upgrades from previous versions of Studio one, as well as PreSonus's Notion and Progression software. If you've still yet to experience the joys of Studio One, there's never been a better time to get involved.